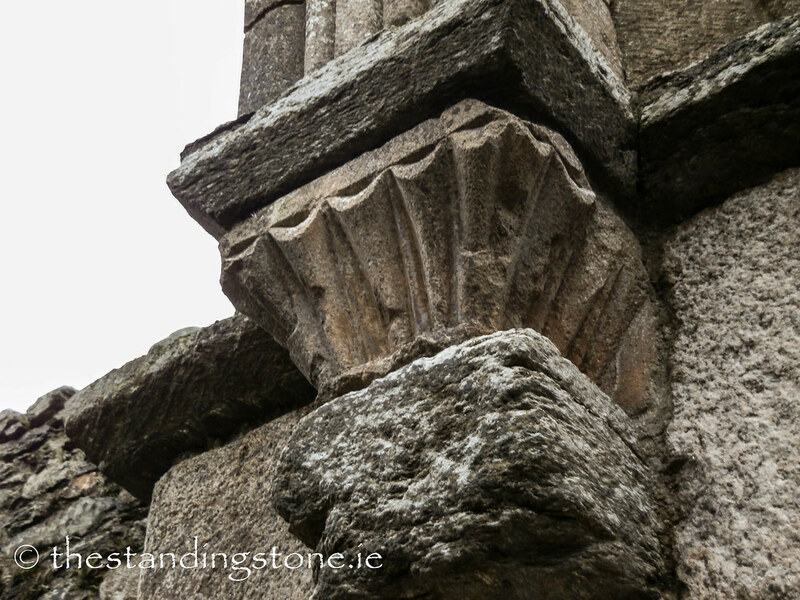 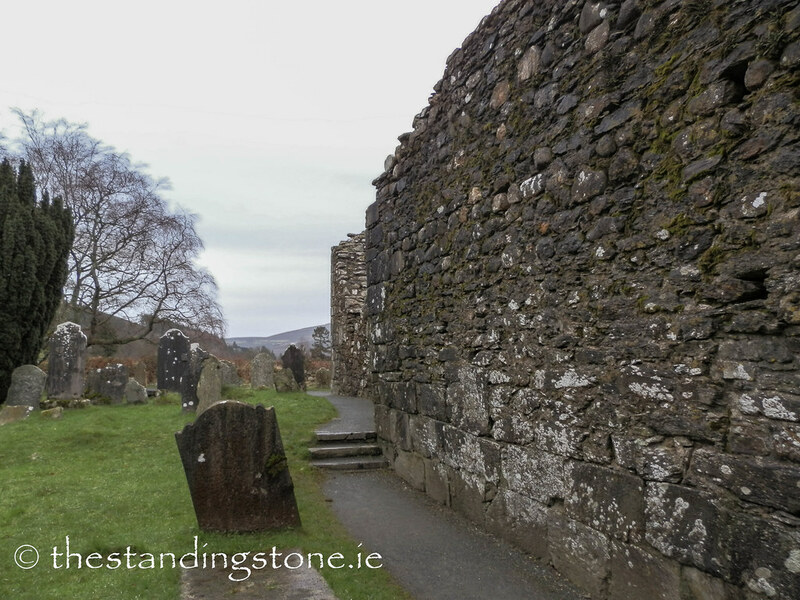 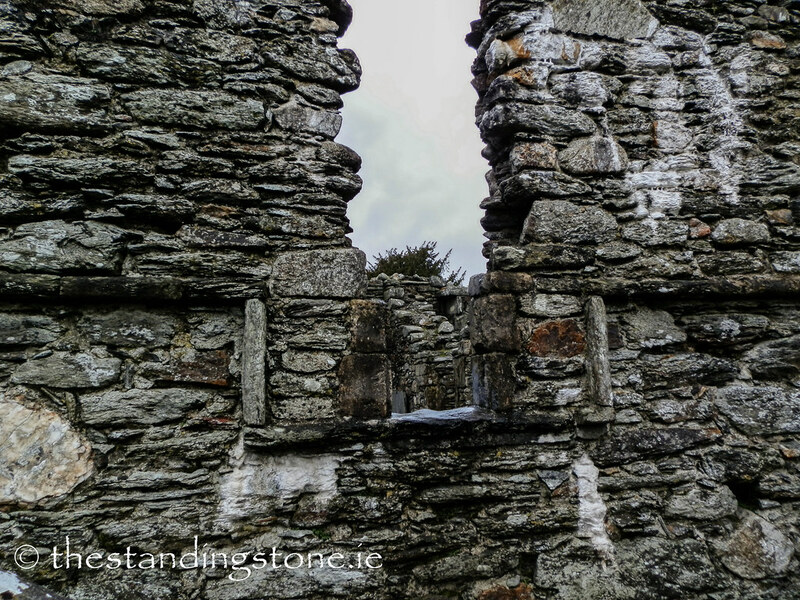 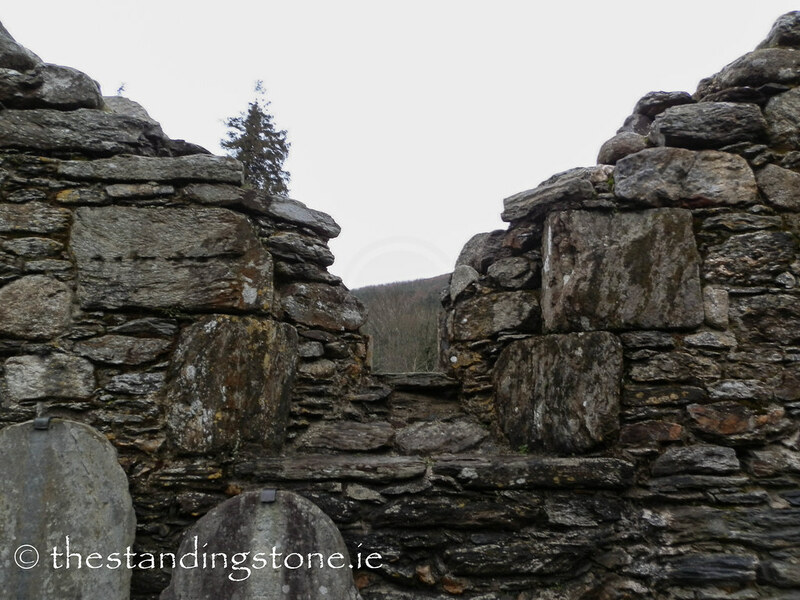 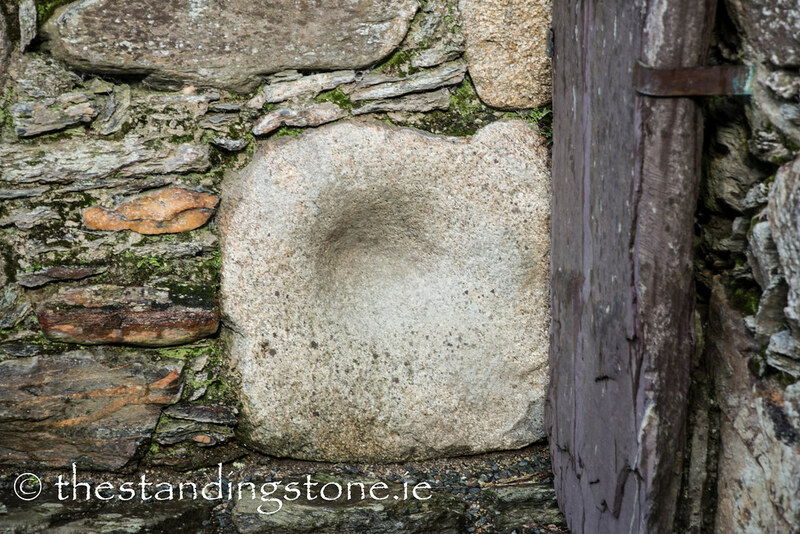 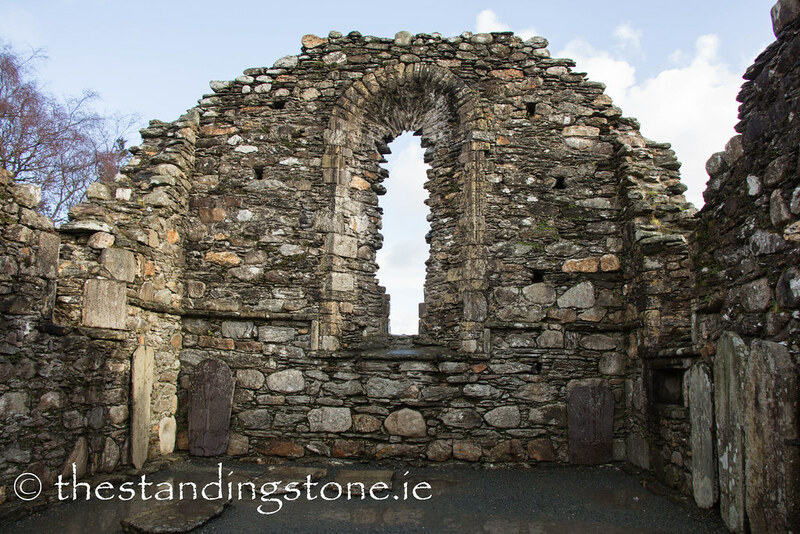 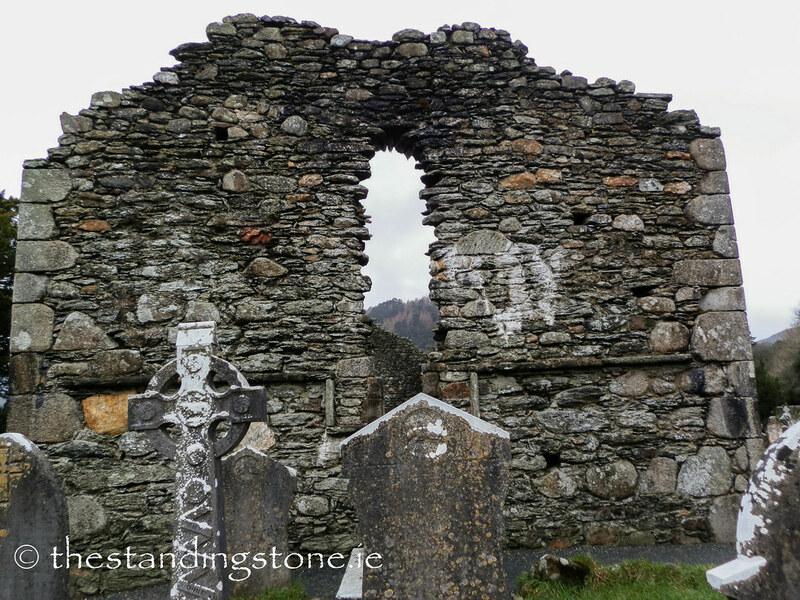 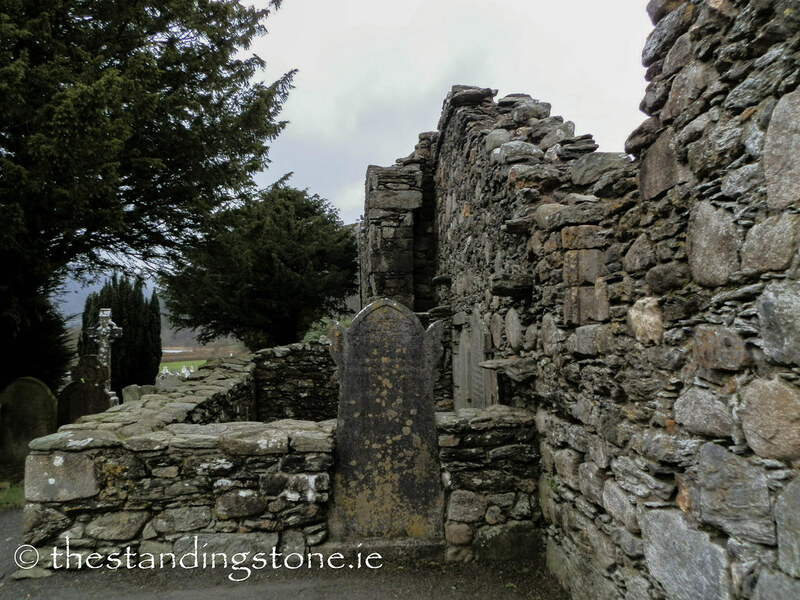 The Standing Stone: The Cathedral, Glendalough, Co. Wicklow. 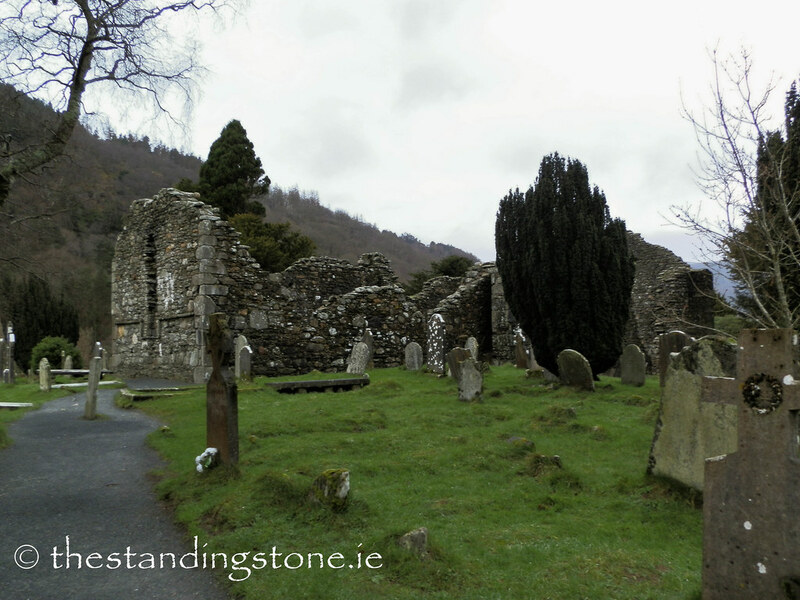 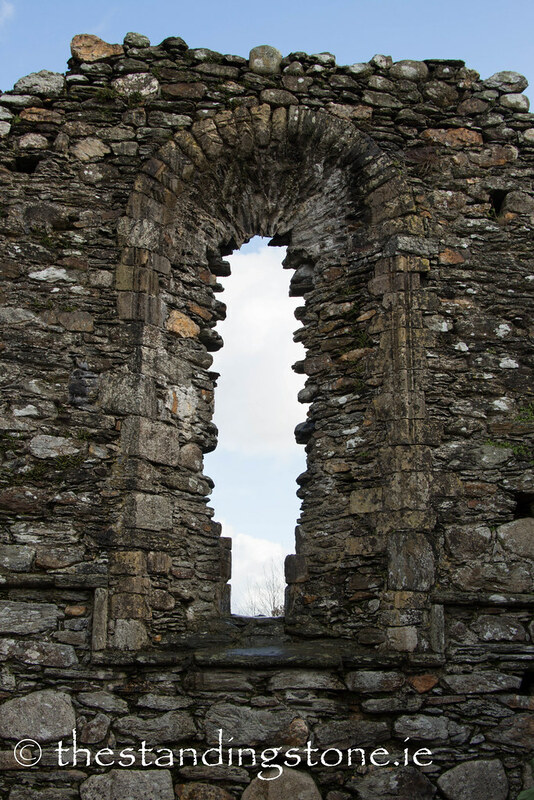 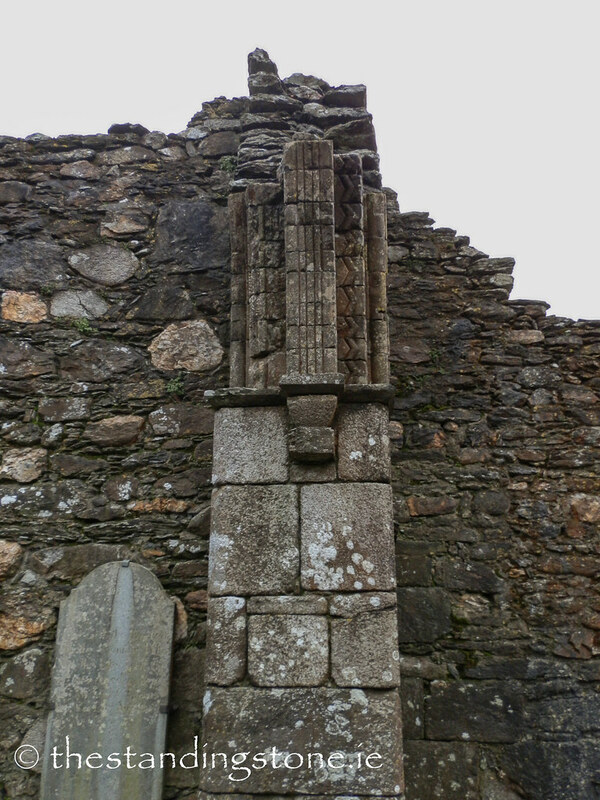 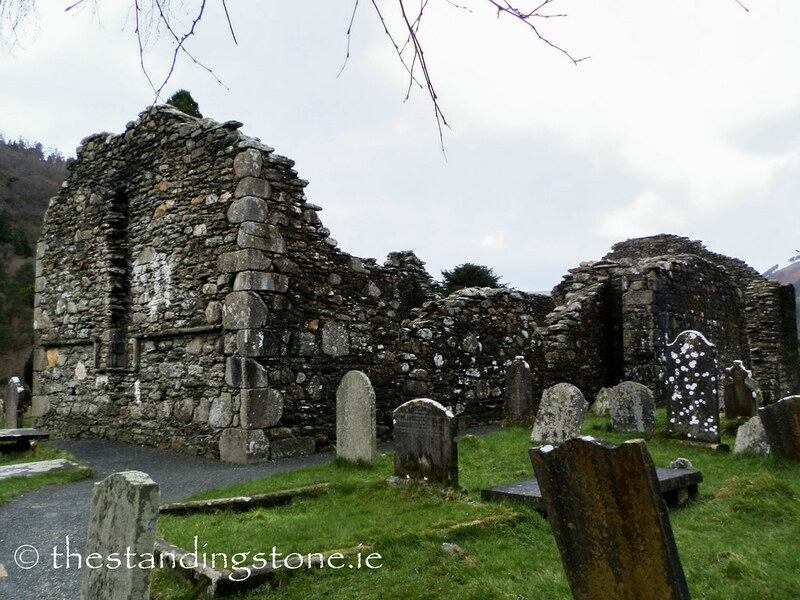 The Cathedral, Glendalough, Co. Wicklow. 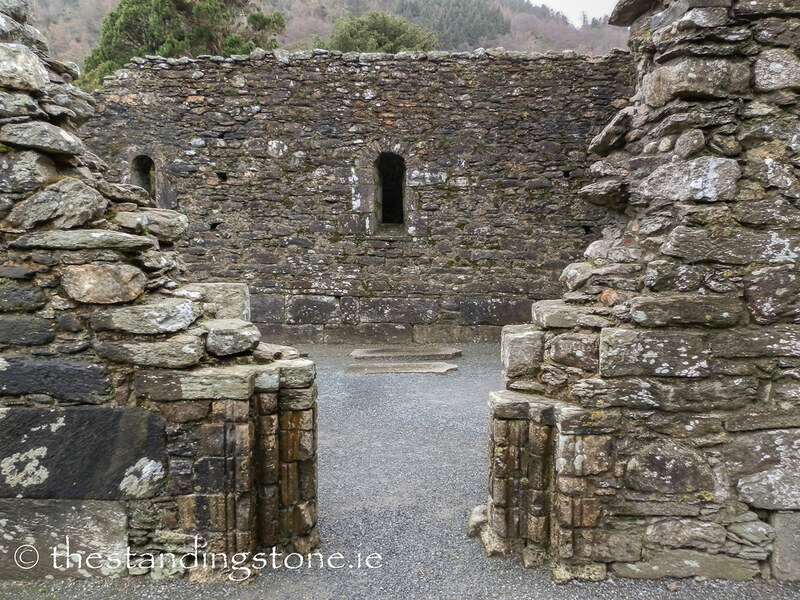 Location – Part of the main complex at the monastic city. 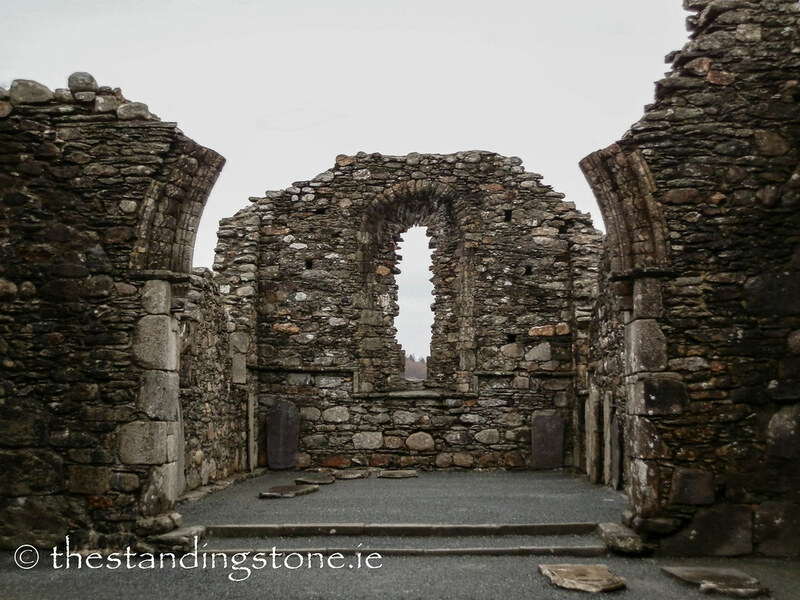 Description and History – The cathedral is the largest of present remains and is multiphase in its development showing various constructions from the 10th to the 13th century. 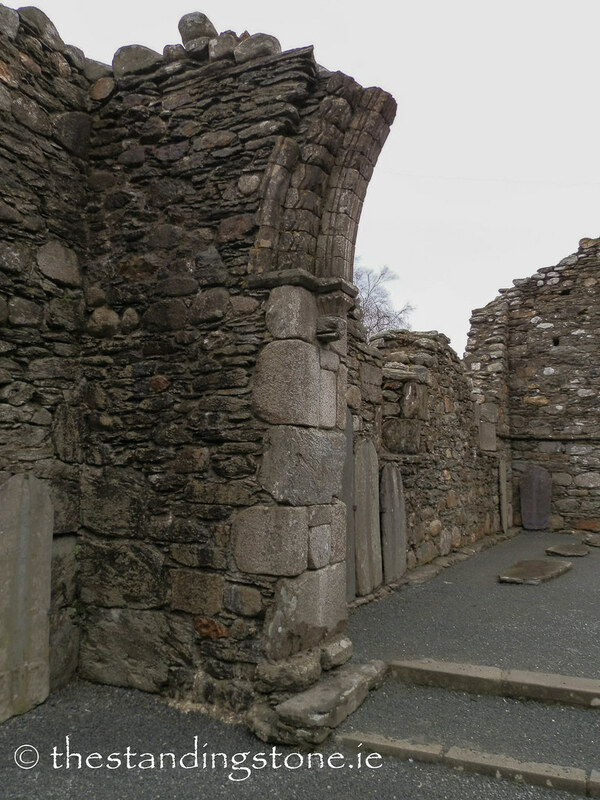 It is divided into a nave and chancel by what would have been a fine Romanesque arch. 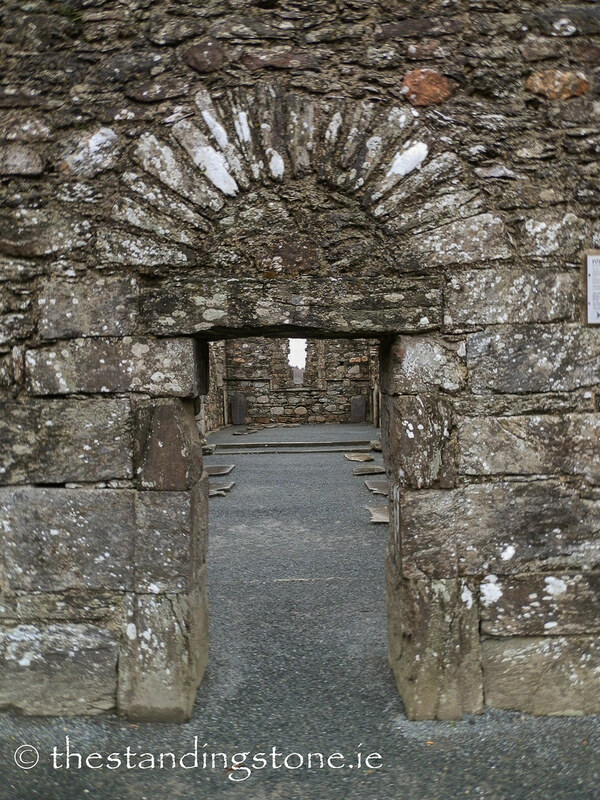 The nave represents the earliest part of the building and appears to reuse an even older structure. 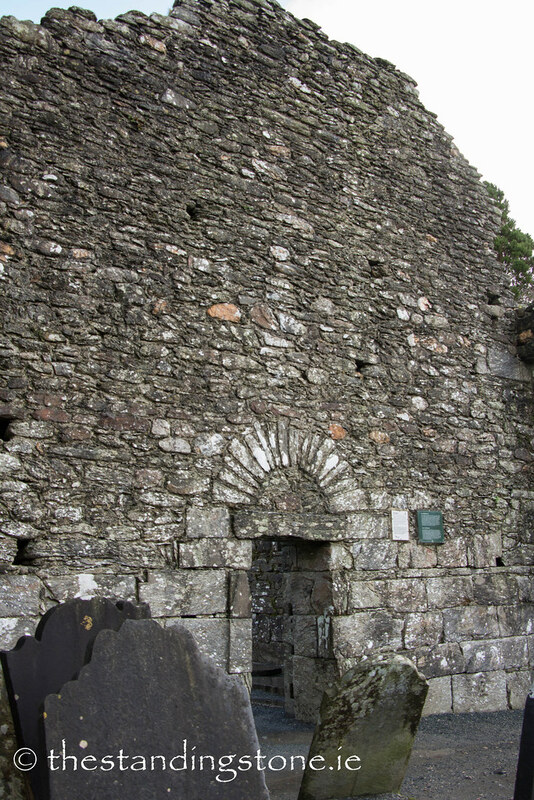 The chancel was added in the 12th or 13th century. 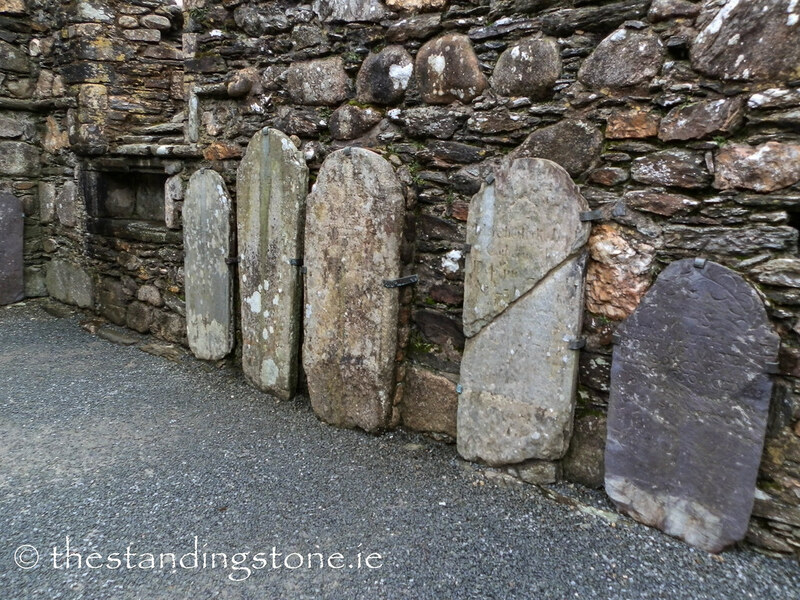 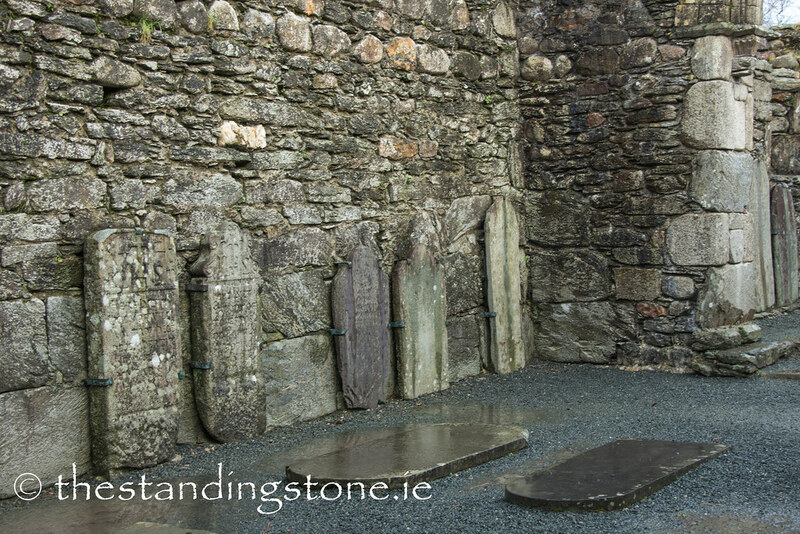 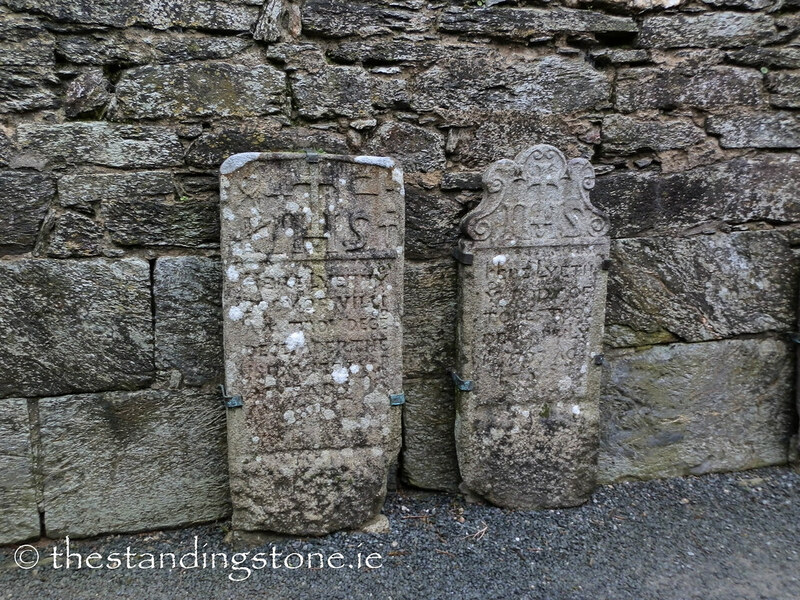 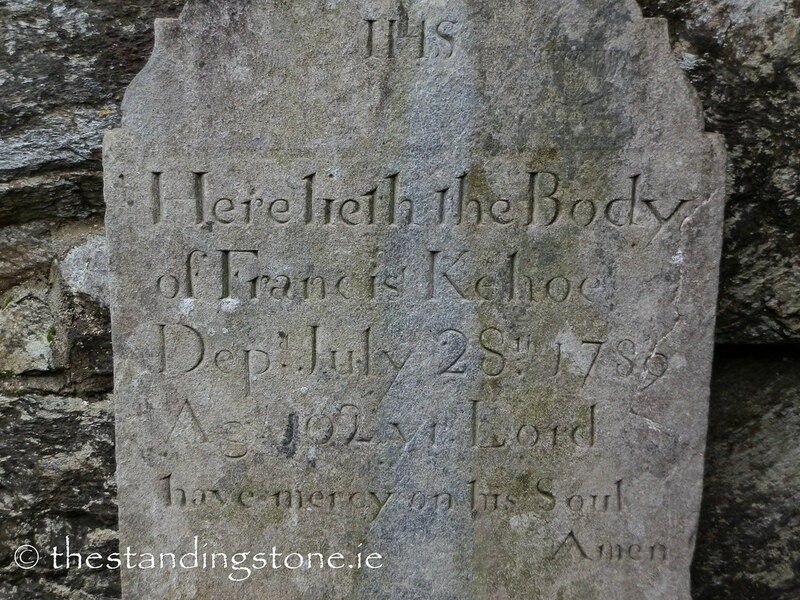 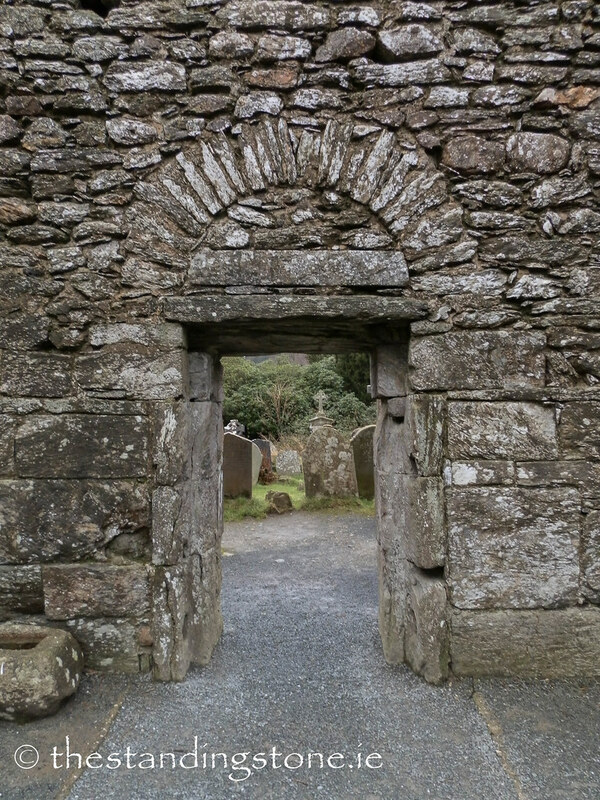 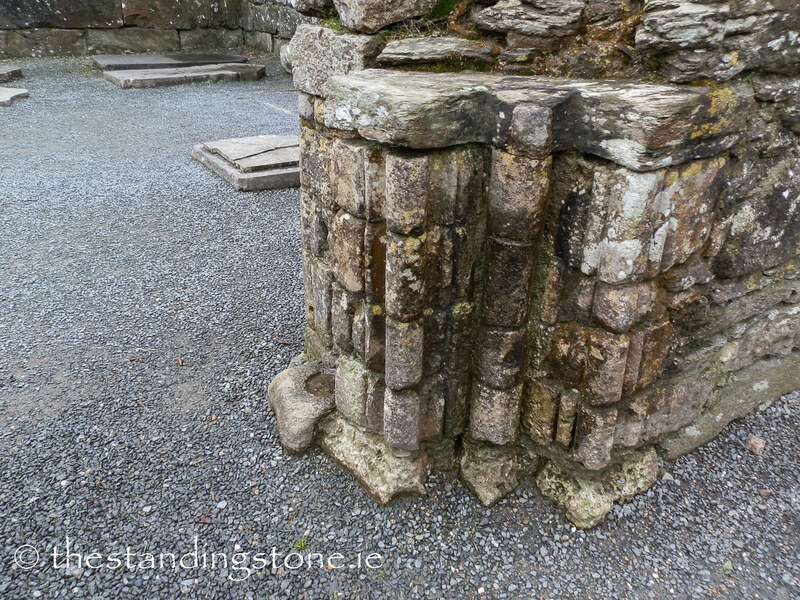 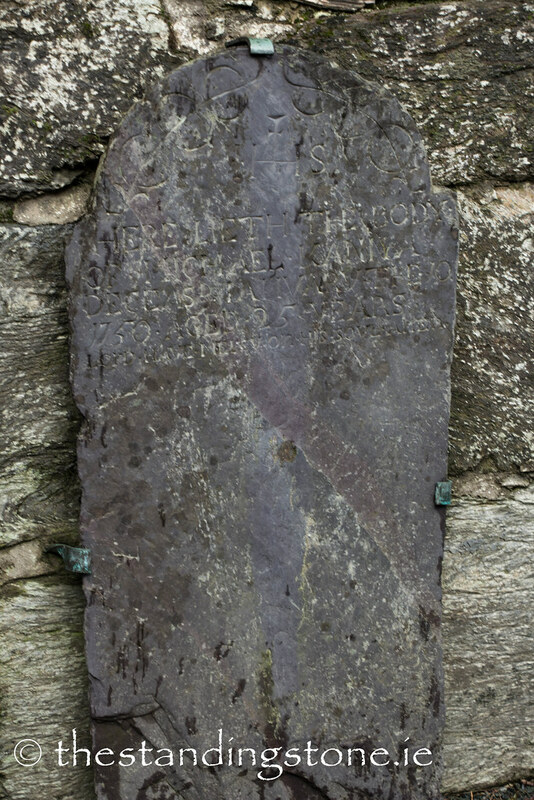 Today several grave slabs have been set against the walls and you will also find a stone font by its entrance. 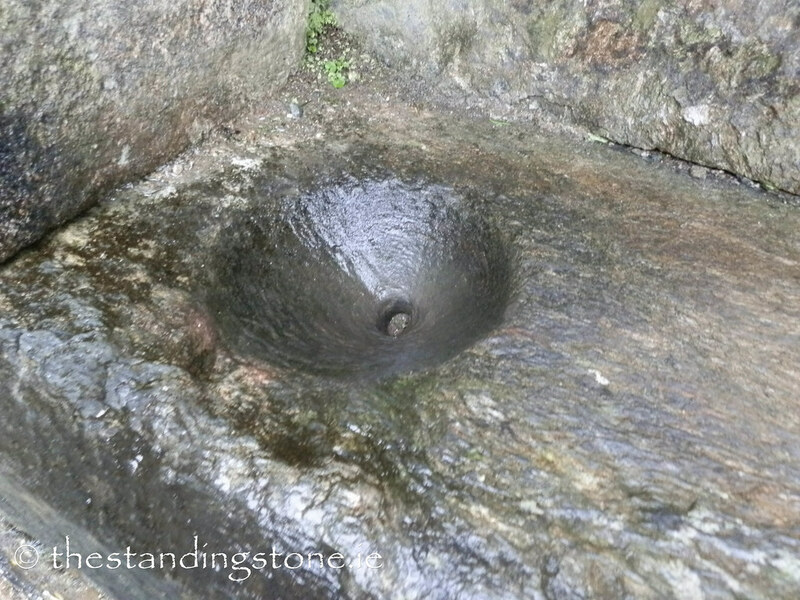 A bullaun stone has even been set into the wall on its side. 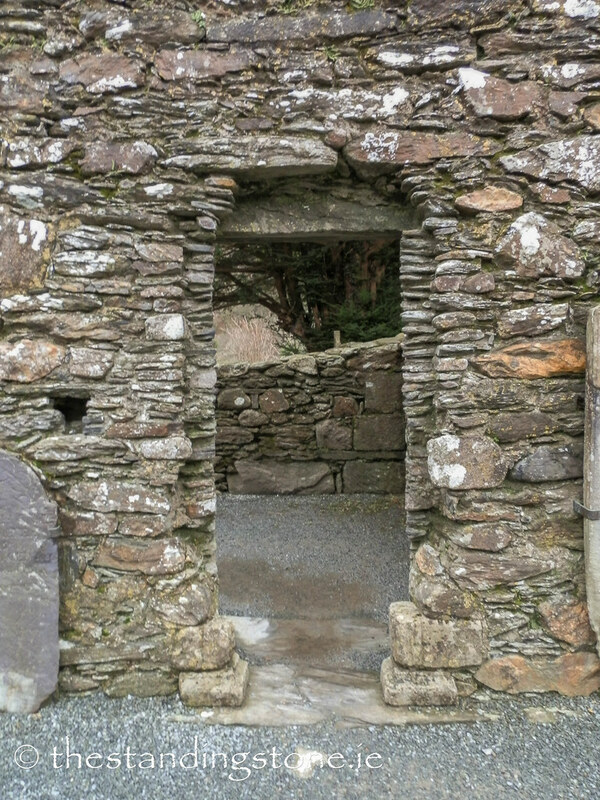 Like many of the other buildings at the site it is constructed of mica schist. 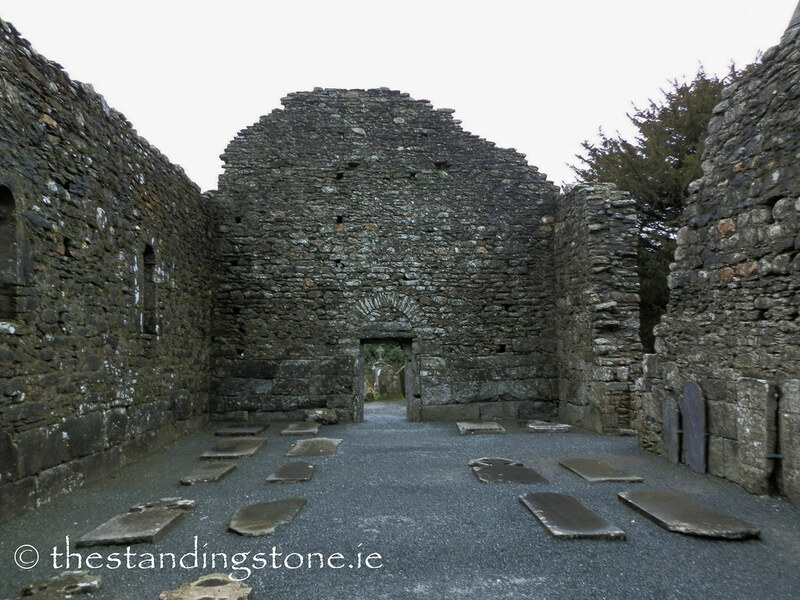 This cathedral is dedicated to St. Peter and St. Paul. 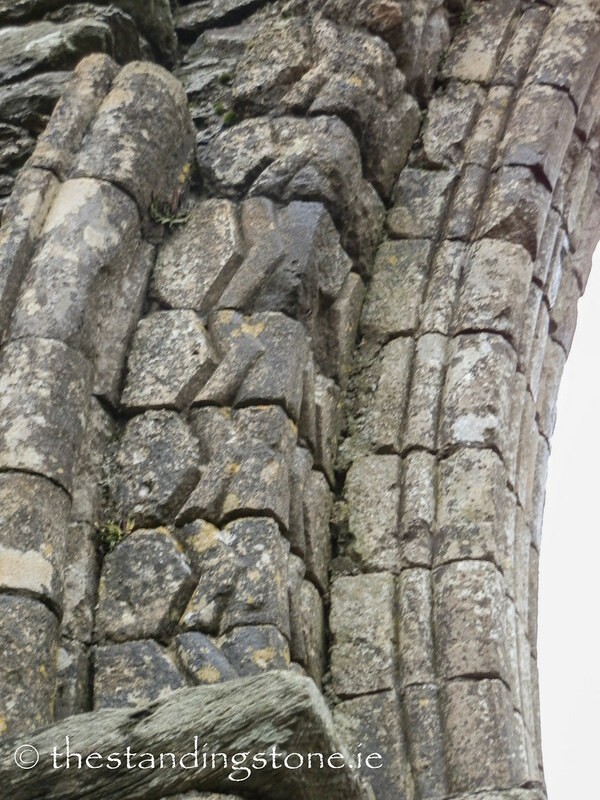 Difficulty – Very east to get to. 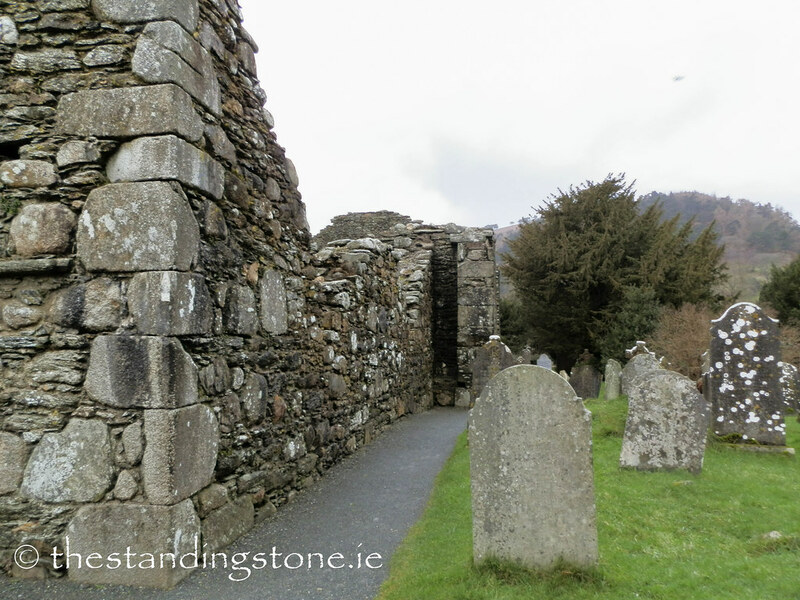 It is not far from the gateway and the round tower. 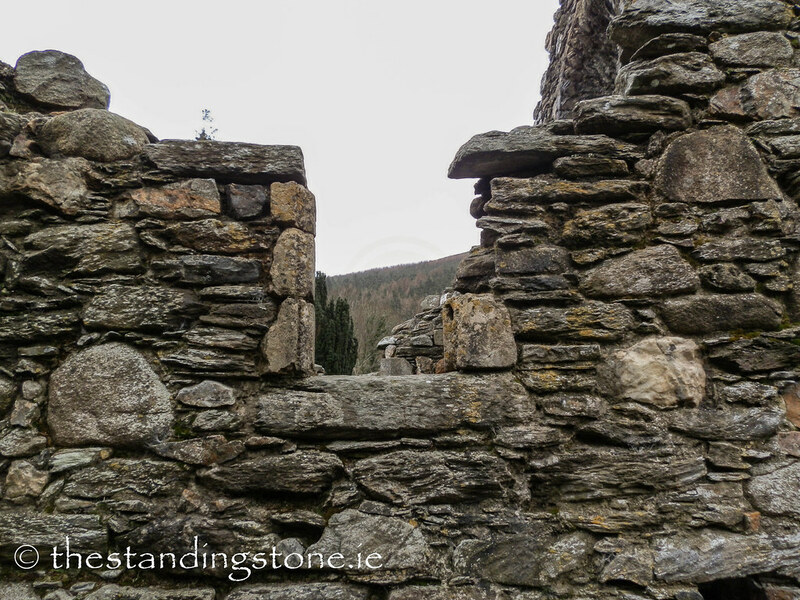 Back to the Glendalough main menu. 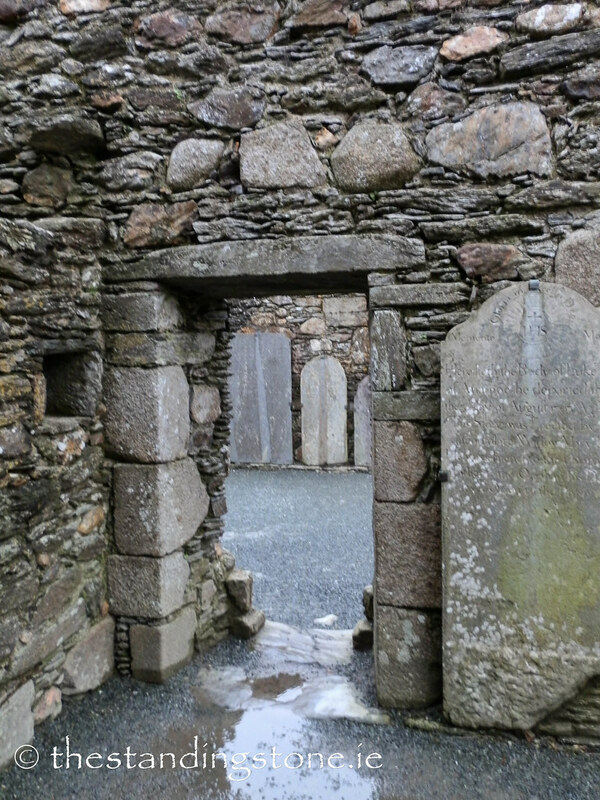 Possible the remains of the sacristy. 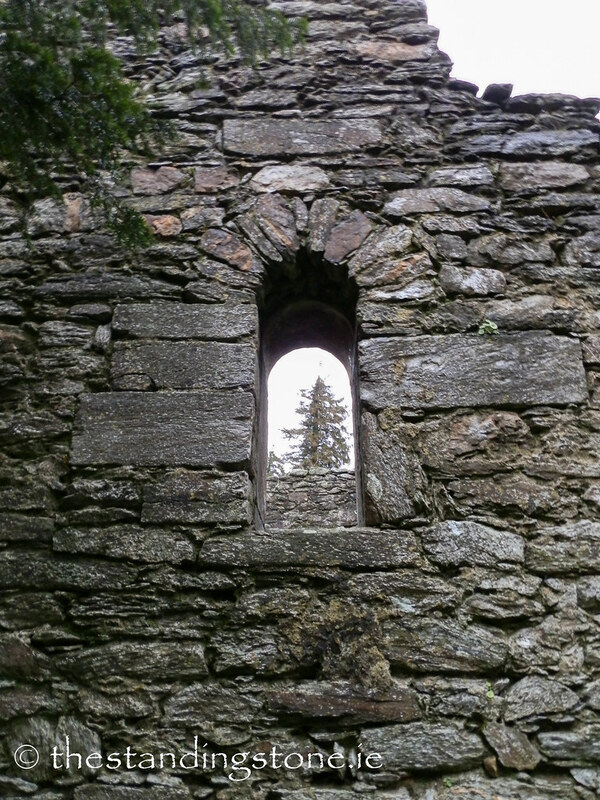 Looking through the other side. 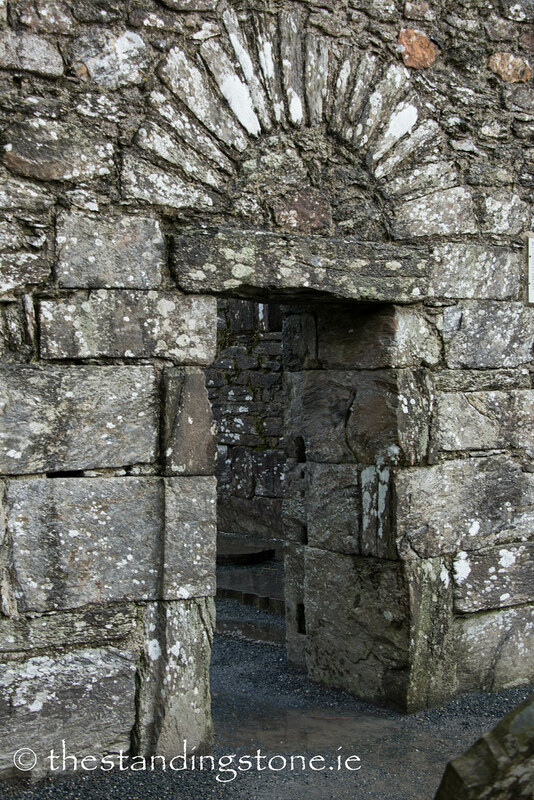 This must have been a very impressive Romanesque doorway. 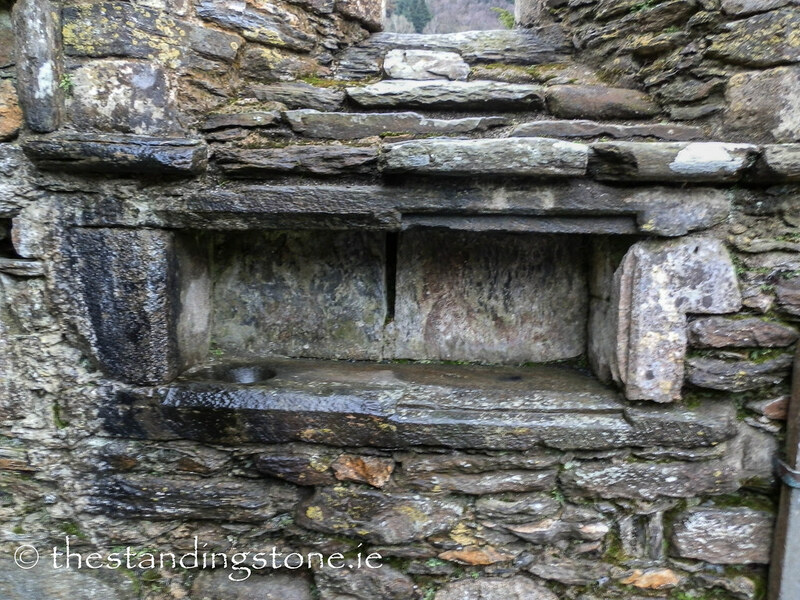 A nice niche and piscina. 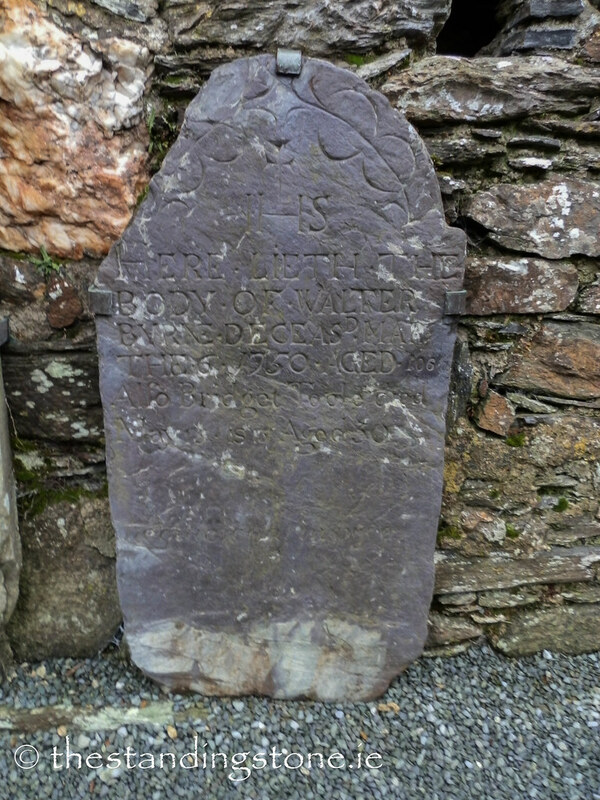 There are some wonderful grave-markers. 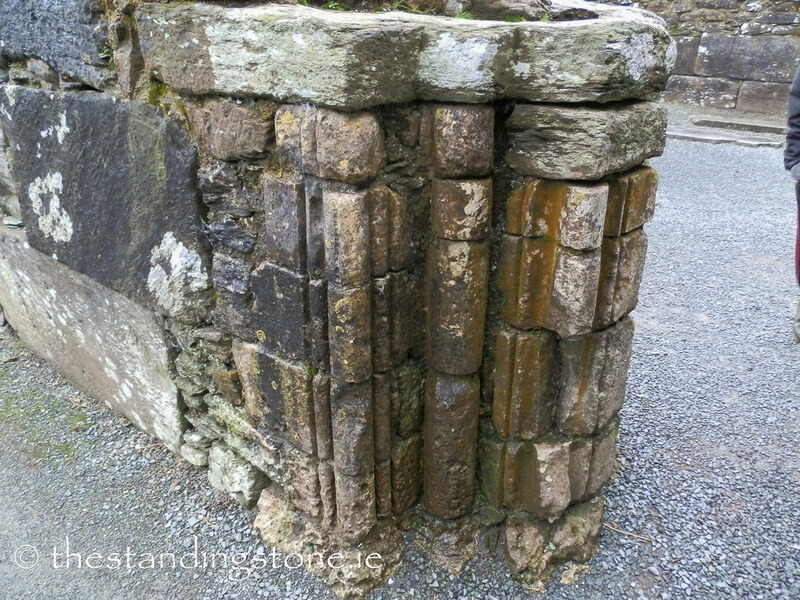 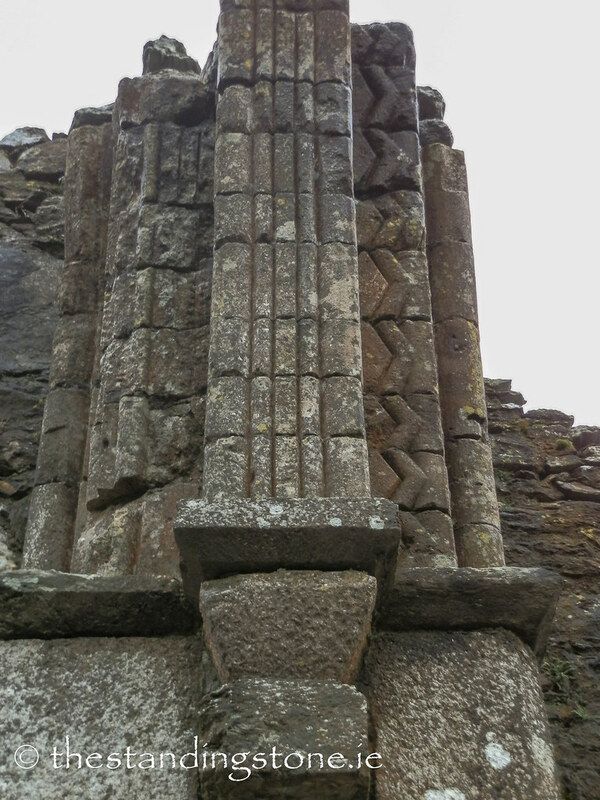 A bullaun stone has been reused here and set into the wall.